We don't charge you per order. Keep your money in your pocket!! - We charge a fixed fee per month, you can take as many orders as you like. 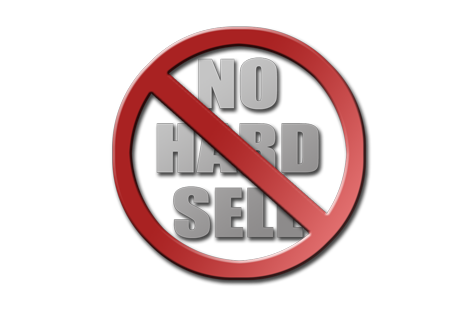 Its not fair to charge you more for your hard work just because your online business sales have increased, and they will!! WHY...because we provide excellent customer service, support and help make our clients profit go up continually. Your money goes straight from your customer into your bank account, we do not have any control or access to your funds. Not sure if we are right for you, get in contact and tell us what you need. If we can provide the right service for you then great....we can start toward increasing your online sales and securing a long and successful business partnership. If we feel you will not benefit we will let you know and point you in the direction of someone who can help you. We feel it is better to lose a client and gain a friend then suffer the stress of an unhappy business partnership. 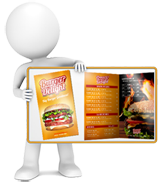 We need a copy of your latest menu showing price and days you are open. A contact name, email address and telephone number to confirm a few details before, during and after the site development. That's it! !...Now just sit back and wait for us to put your ordering site together, it should take around 4-5 days. do you really need your own website? Okay let's look at the facts. 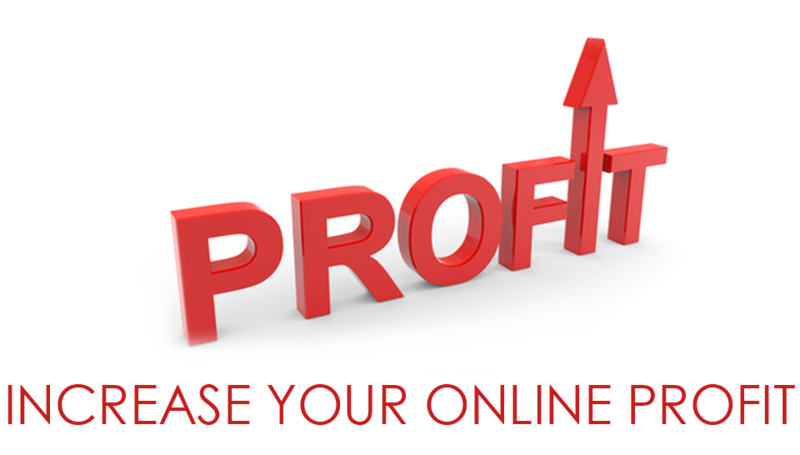 If your customers can only order online from you using a web portal that charge between 10% - 15% per order then YOUR business will ALWAYS lose that percentage as profit, the more you promote your online service the more you will continue to lose. 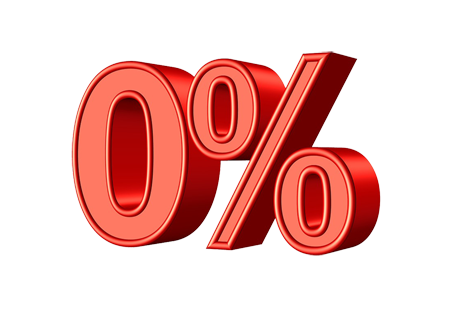 By renting a 0% commission site from us you will pay a low fixed fee, this means that the more you promote your online services to your customers the more profit you will make and that is the best incentive to promote yourself online....to make yourself more money. 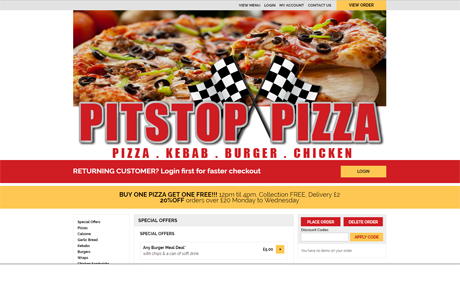 Because our website systems are all automated, when an order is placed by your customer your business will receive an online email confirmation, an alarm will sound to notify you an order has been placed and the order will be automatically printed on a 58mm or 80mm receipt printer. No longer will you have to put up with customers arguing and wasting your time because "over the phone they definately ordered something different and your member of staff got it wrong". 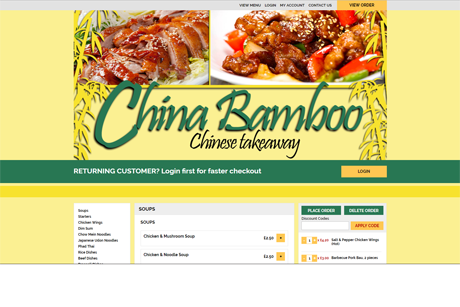 No longer will you have staff tied to a phone taking phone orders when they could be helping in the kitchen or taking orders over the counter or packing orders for delivery drivers to take....making your business more efficient. Collecting your customers email address is very helpful and yet none of the national web portals allow you access to this information, why?...well simply put...FREE marketing, if you can email your customer you can offer them special incentives to order on quite days or keep them updated on whats new. ALSO...when you need to contact the customer but their phone number doesn't work, what then?...well with the email address you have another form of direct communication and with todays smart phones the chances are that customer is going to see the email and if they don't, well at least you have the upper hand to stop an argument by saying you tried the phone AND emailed but nobody replied. You will be amazed at how many customers will apologise to you when they realise there was an email sent but they didn't reply. Collecting your customers mobile number is also incredibily useful, offering incentives to order especially on quiet days using SMS texting. This has proven a very effective and inexpensive way of direct marketing. It is also a good way to help personalise your business with the customer. With a strict set of terms and conditions set on your website, you can contact your customer via SMS without breaking any data protection laws. 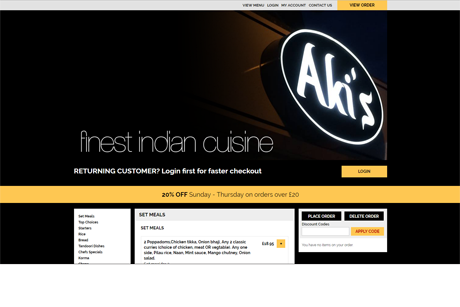 In todays digital online society your business will look more professional if it has its own website. 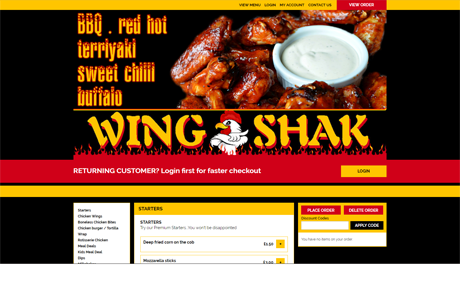 That is why ALL national franchise food chains have thier own website....and that is why you should too, no exceptions!! Why rent a system from Us? 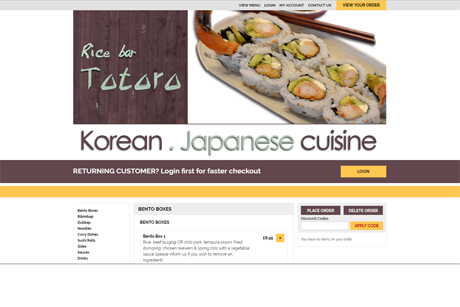 The biggest benefit with renting a website instead of investing in creating your own ordering system is technical support. In all our years we have never had a website that does not require technical support from updating every few years due to hardware advances such as the invention of smart phones to continued online security updates to stop hackers stealing customer databases and card details. Technical support can be very costly when it comes to websites. 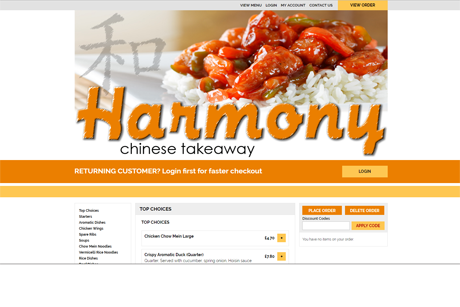 This is why we came to the decision to offer food industry businesses the opportunity to rent a site, you receive a website ordering system at a fraction of the cost of creating it from scratch and have the cost of technical support and updates included. ALSO included within the rental fee is domain name registration, SSL certification and website hosting. 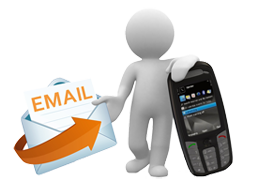 PLUS we will help promote your business with SMS marketing text messages and email marketing. * Wifi connection or good/high sim card coverage for use with a dongle. 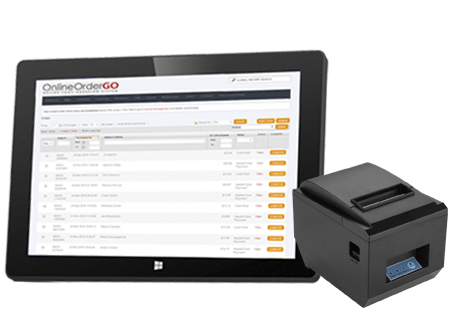 We supply the equipment you will need to receive orders, 10" Tablet and 58mm or 80mm thermal printer all set up and ready to go included in the price. excludes delivery to your business. If you are happy with everything the one off set up fee at the moment is only £399.00 (which can be paid over 4 monthly installments) . This will cover the site set up and menu input, website and APP design and SEO links to the major search engines e.g google, bing, apple maps etc. Plus help marketing your new we system. Then the daily rental fee is only £1.24 per day for you to take as many orders as possible. 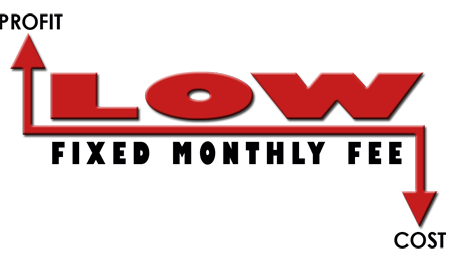 * Domain name registration and renewel. * Secure site hosting on a dedicated server. 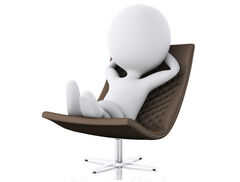 * Technical support to keep the site secure and upto date. * We will also help toward promotion to your existing customers with SMS text marketing and email marketing to get your site sales moving. 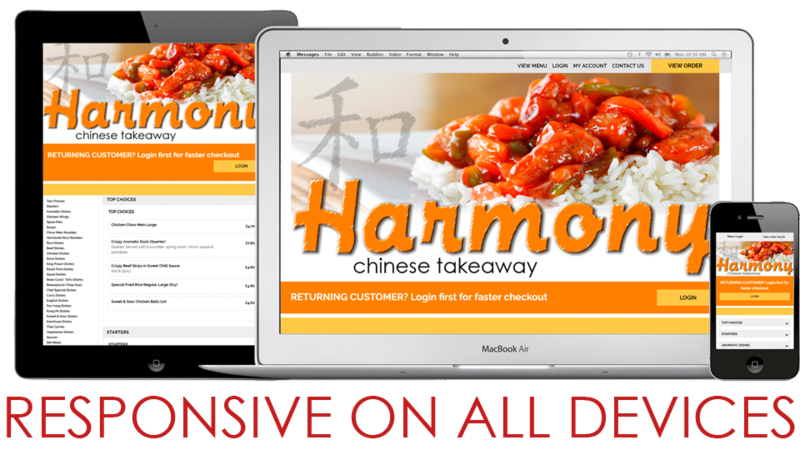 PLEASE UNDERSTAND... We are here to help you develop and grow your own online ordering site and at the same time build a healthy business relationship of trust with you as a client. Like all businesses we would like to succeed and be profitable but this can only be acheived through your success.